May is the month of spring par excellence with many typical celebrations of these dates and the first major events with summer just around the corner. 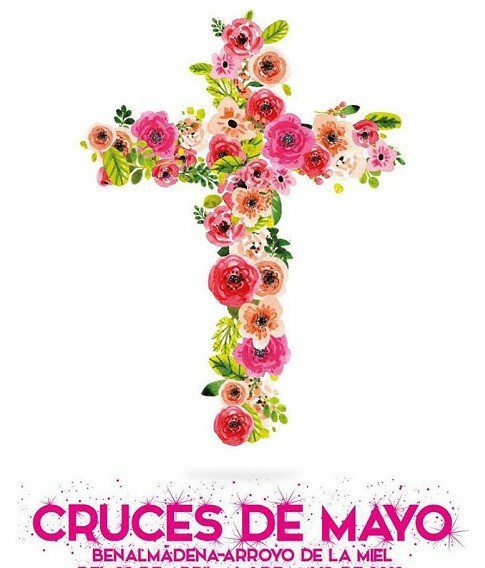 Altars and crosses festooned with flowers, typical food, music and dances accompany this traditional festival in the downtown streets. 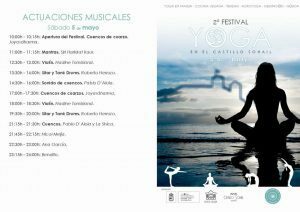 The second Yoga Festival at Sohail Castle will take place on May 5th and 6th and after the success of the first edition held last year, this time extends the days of celebration, schedules and the spaces where the different activities take place, which will be totally free. 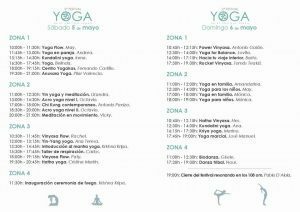 Yoga, live music, stalls, vegan food, meditation and much more! When: May 5 and 6, Saturday from 10 am to 12 midnight and Sunday from 10 am to 8 pm. 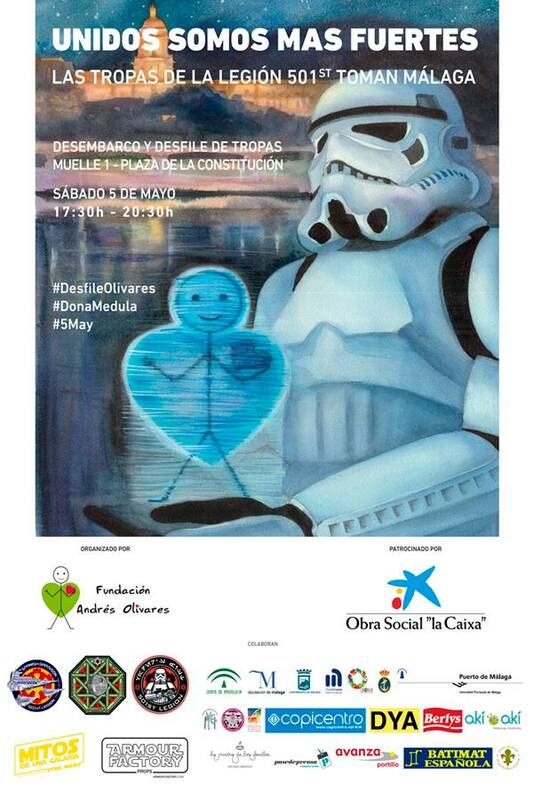 The Imperial troops of the 501st Legion arrive on the streets of the centre of Malaga on Saturday, May 5, starting at 5 pm. Departure from Muelle Uno (Pier One), parade to Plaza de la Constitución. At 5:30 pm, 170 members of the 501st Legion, accompanied by 10 Mandalorian Mercs and 48 cadets from the Galactic Academy, will start the tour at La Farola. They will take Pier One and then head towards the Pompidou Museum, where the Tagomago patrol ship of the Spanish Armada awaits them. From there, the Emperor will disembark with his guard to join the parade. They will continue along Palmeral de las Sorpresas (Pier Two), cross Plaza de la Marina and take Calle Larios until they reach Plaza de la Constitución at around 8 pm. Where: From Pier One to Plaza de la Constitución. 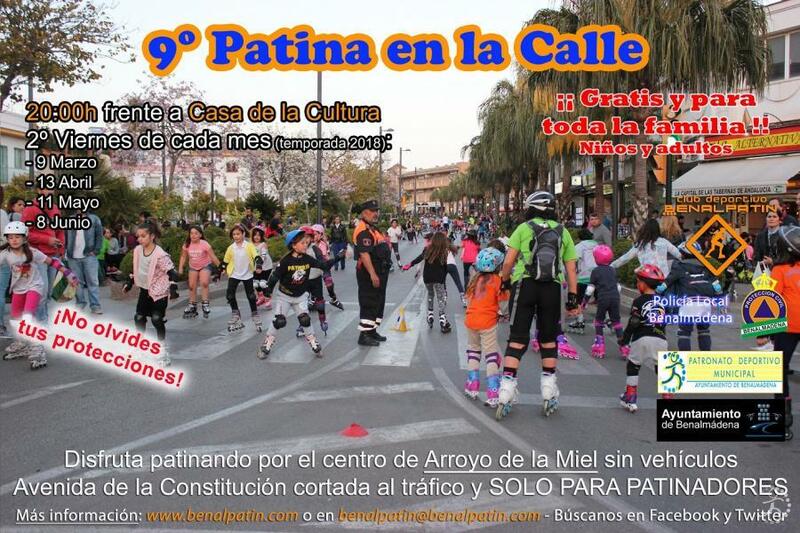 Activity from March to June, the second Friday of each month from 8:00 pm to 9:00 pm you can skate freely through the centre of Arroyo de la Miel, it is a participative, non-competitive activity. 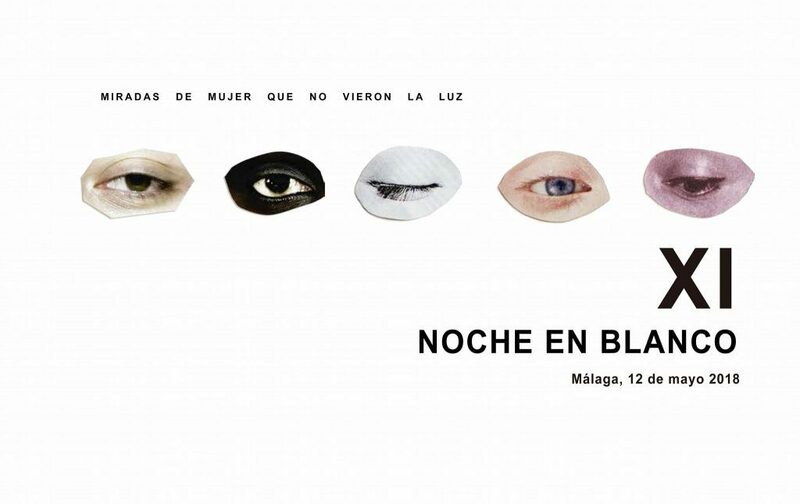 The White Night in Malaga celebrates each year the “culture night” in public spaces, museums and monuments of the city with free admission from 8 pm to 2 am and a total of 250 activities in the streets and squares of the city. 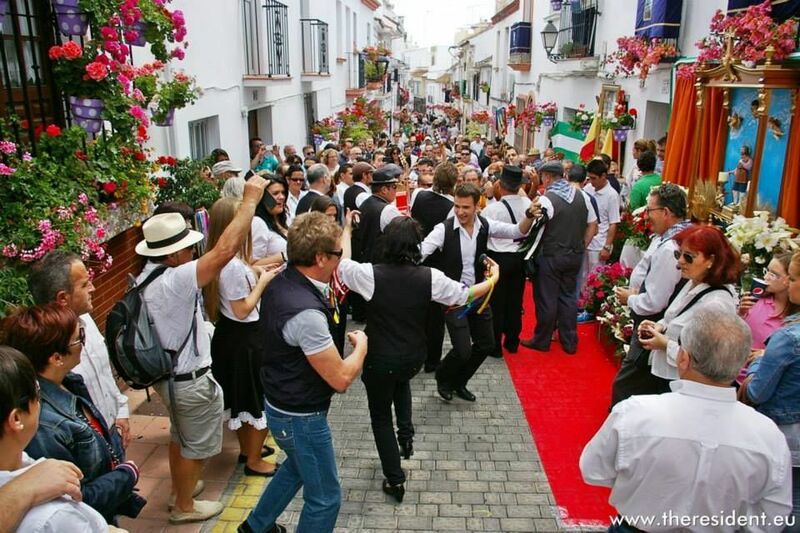 One of the great celebrations of Estepona is held in honour of its patron saint, San Isidro Labrador. Many streets are decorated with agricultural components and there are also small “Inns” set up in streets and squares where to enjoy food & drink, highly recommended! 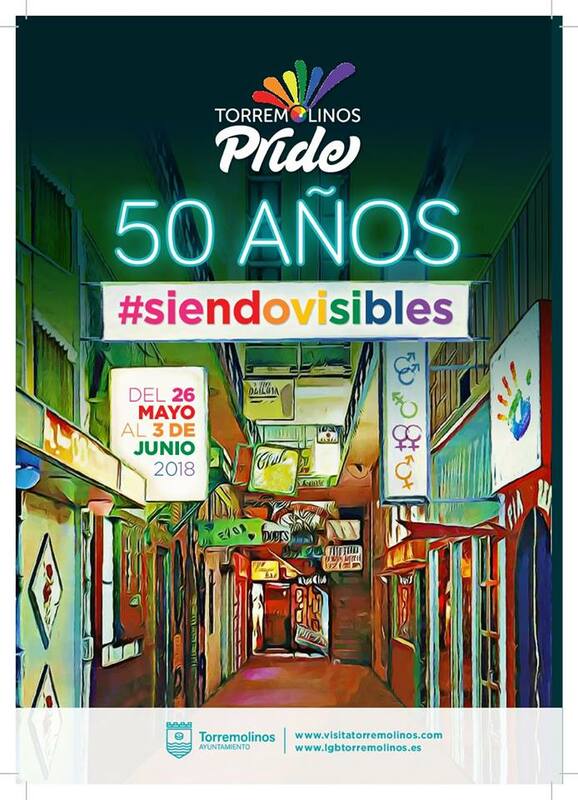 From May 26 to June 3 Torremolinos celebrates 50 years fighting for rights of the LGTBI collective, with many activities where is especially outstanding its great Parade procession that will run through the municipality to reach the central Plaza de la Nogalera. The last day of this edition, Sunday, June 3, there will be a party on the beach. Remember that the International People´s Fair takes place in Fuengirola, from April 27 to May 1, a multicultural event that enjoys great popularity, don´t miss it! Pleas can you send me my discount code. Thank you for the information of activities calendar which is very useful. We currently have a car on hire from your company. We have been hiring from your company for at least 10 years, sometimes twice a year – are we not entitled to a return customer discount/promo code as others here appear to,receive ? Hello. I have been renting from you so many times (4 times every year) in years and years, but I was never given any special discount as a returning customer. Customer discounts are applied to logged-in customers. Please log-in at https://www.malagacar.com/menu/ and go to https://www.malagacar.com/uk/car-hire/quote.php to check your current discount. I have been booking with Malagacar.com for 10 years and have never received a promo code or discount. Please can you send me one of the suggested two please. I’ve been using Malagarcar for a number of years, can I get a return customer discount? Please log-in at https://www.malagacar.com/menu/ to get your customer discount. You should get a +1% discount for each booking made with us (minimum 5%, maximum 20%). I am a returning customer, have been for many years. I did have a special number but that does not seem to still be in operation. Hello. Can you tell me how to get a promo code for car rental with Malagacar ? Thank you. Kind regards, Marc. Hello Marc! You get a promo code by liking us in FB. You also get a special increasing discount as return customer on every completed booking.